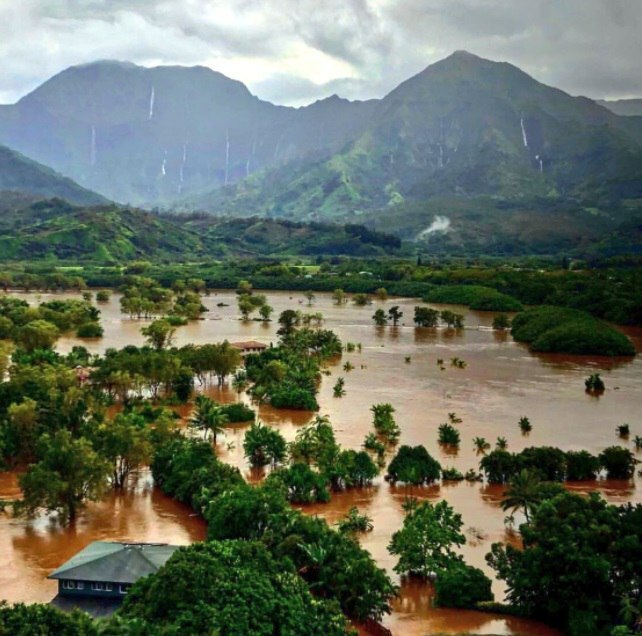 Dozens of people have been forced to seek emergency shelter after storms triggered mudslides and flooding on the Hawaiian island of Kauai. 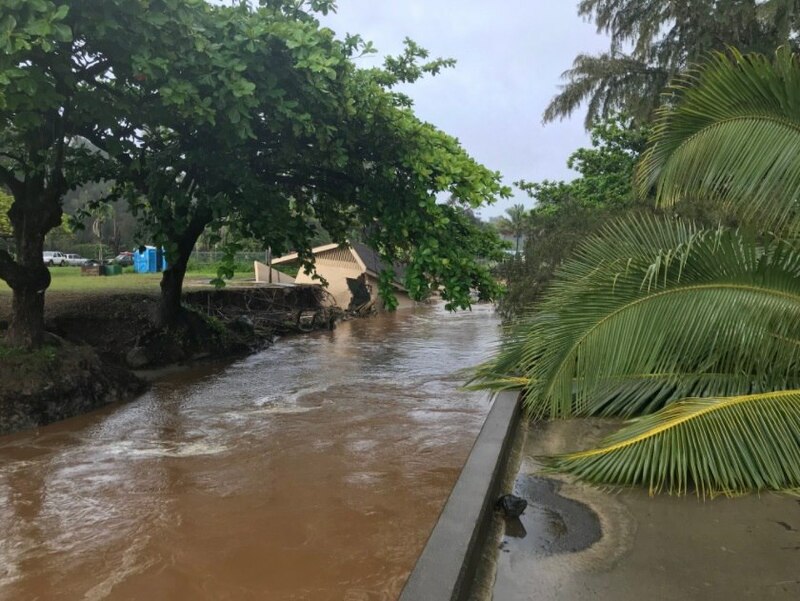 Hawaii Governor David Ige issued an emergency proclamation for the island where heavy rainfall damaged or flooded dozens of homes in the communities of Hanalei, Wainiha, Haena and Anahola. Worst flooding ever seen in the area over years! 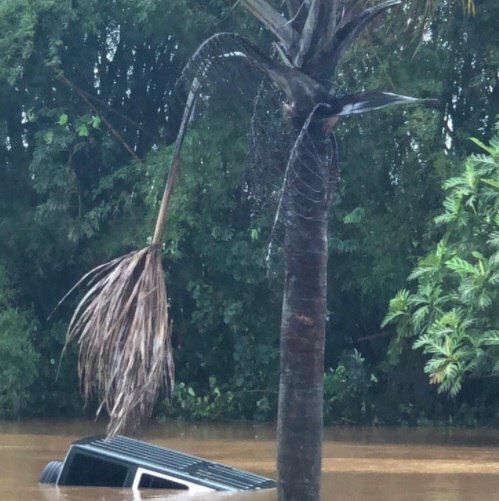 Dozens of people were stranded at several Red Cross shelters after the storm dropped over two feet of rain, causing massive flooding and grounding rescue helicopters. 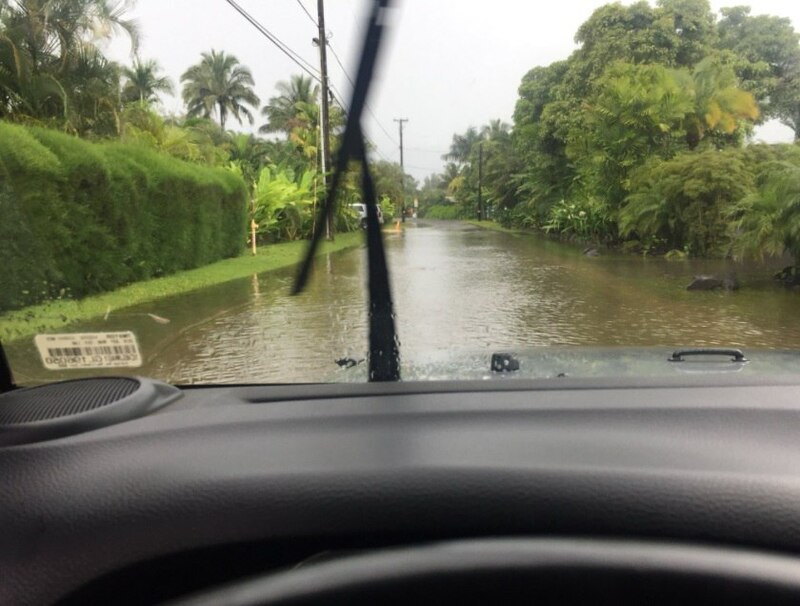 The National Weather Service recorded almost 27 inches of rainfall in a 24-hour period in Hanalei. At least two homes were torn from their foundations. 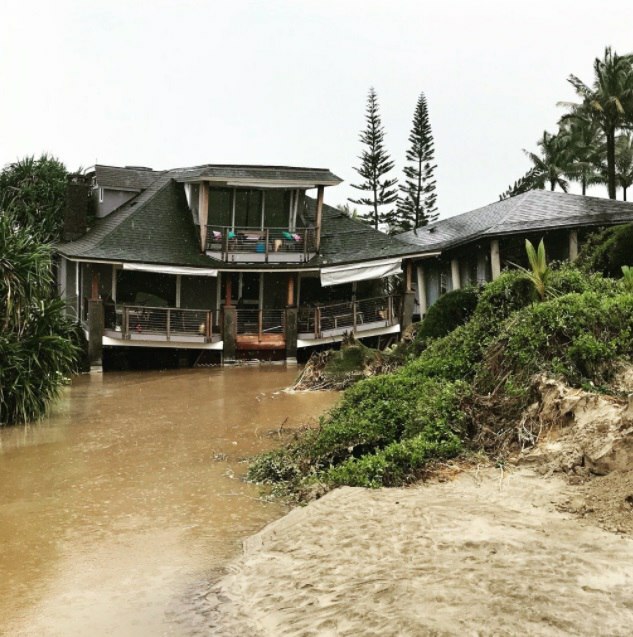 Resident Shauna Tuohy told HawaiiNewsNow that she was watching television with her mother when brown water suddenly began to pour through a wall in her home in Aina Haina. “The water came through my mom’s bedroom and down the hallway. There was just a raging river through the house,” she said. 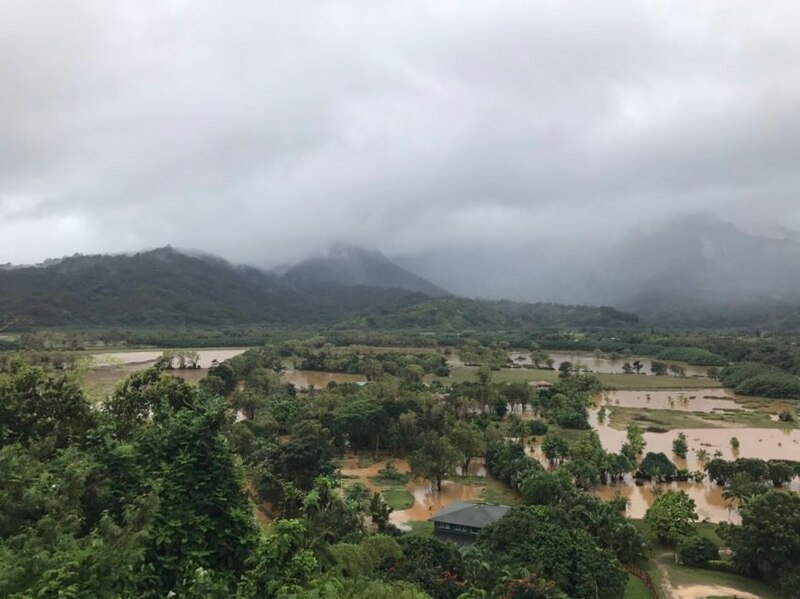 About 40 people, mostly tourists, spent much of Sunday stranded at Hanalei Elementary School, where the American Red Cross had opened an evacuation shelter. They briefly ran out of food and water, according to AP. 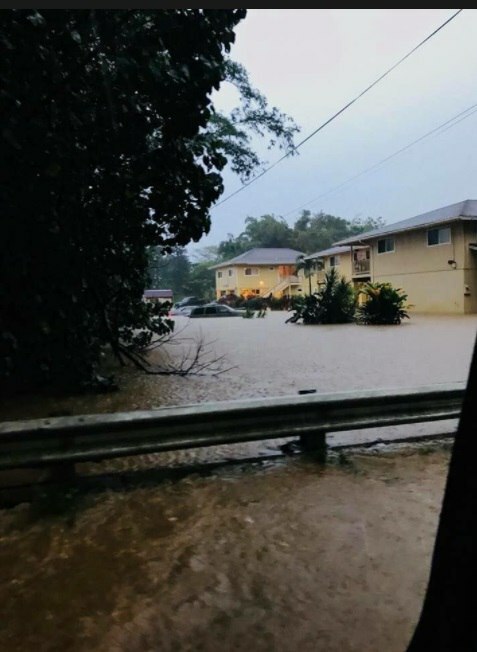 Coralie Chun Matayoshi, chief executive officer of the Red Cross in Hawaii, said the county’s Department of Parks and Recreation offered to deliver food to the evacuees by personal watercraft. But a nearby business was also dealing with flooding and unable to provide the supplies to be delivered. The Hawaii Guard offered to deliver food by air, but the weather kept the helicopters grounded. Officials were subsequently able to reach the shelter. They also opened another two facilities. 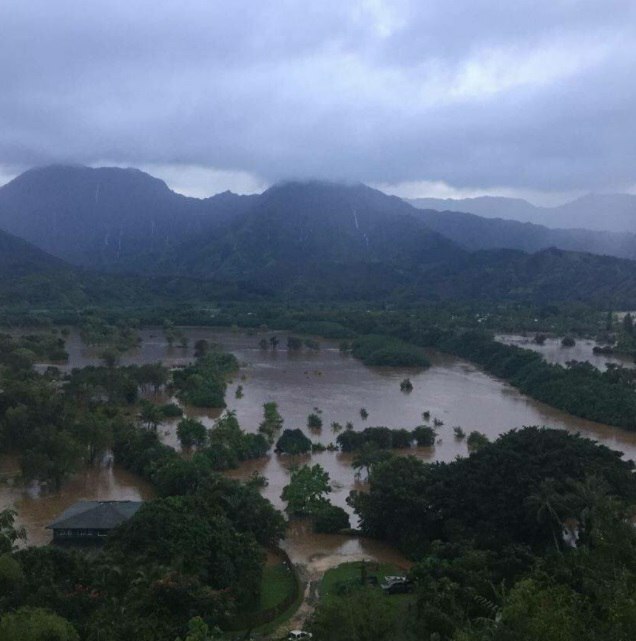 Kauai County spokeswoman Sarah Blane said county officials had to call in off-duty firefighters, police officers and lifeguards on Saturday night to rescue about a half-dozen people who were trapped by rising floodwaters in Hanalei. There were no immediate reports of injuries.